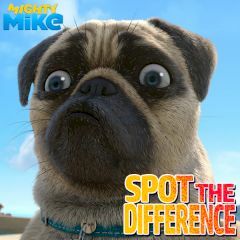 Play this amazing Mighty Mike game and find all differences between pictures. It can be anything, including wrong color or a missing object. Look at both pictures and click on the area, where you have spotted a difference. Make sure that you do it fast as time is ticking and you need to get five stars. Use hints when stuck and proceed further.